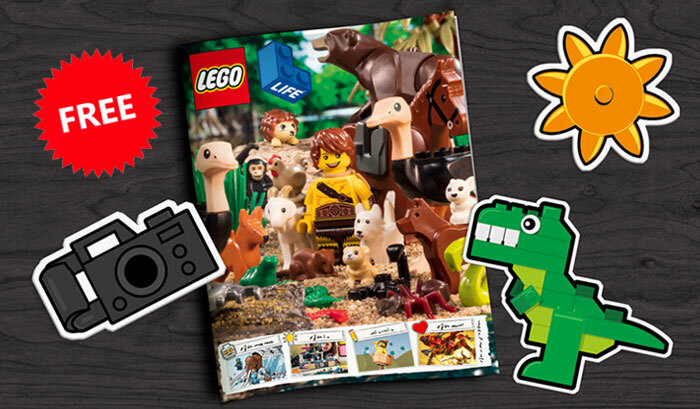 Fill out the form to get your FREE One Year Subscription to LEGO Life Magazine. Designed for LEGO® fans 5-10 years old, our print magazine features comics, activities, competitions, sneak peaks & the latest LEGO news, all shipped to your door 4 times a year! Do you already get the LEGO magazine? You can update your details, address, etc on the freebie page. LEGO Life Magazine is the ultimate print experience for LEGO fans. The magazine will be in your mail box 5 times a year filled with awesome stuff like comics, fun activities, challenging competitions and interviews. Keep up with your favorite characters and themes, and discover what other LEGO builders are creating. Ready to sign your child up for LEGO Life Magazine? If you have a child between the ages of 5 and 9, set up your LEGO ID account, activate and subscribe to the magazine. For older kids, they’ll love the LEGO Life app!